One of the things we've discovered in our research is that snow sports retailers are facing a big challenge. But they also have a big opportunity for growth. We've just published a new white paper entitled "Take Control: How Snow Sports Retailers Grow in a Declining Industry". Below is the abstract. Register at the bottom to download the full paper. On Saturday, January 28th 2017 in Aspen, Colorado at the Winter X Games Big Air competition James “Woodsy” Woods dropped in for his 4th and final run. He was in second place behind four-time champion Henrik Harlaut and needed to put up a big score. This wasn’t Woodsy’s first big event. He started competing in the U.K. at the national level in 2007 and had placed well at a number of international events, including capturing the FIS Freestyle Skiing World Cup in 2012-2013 and a fifth place finish in the 2014 Winter Olympics in Sochi. But there is something special about the X Games stage and if he could manage to take gold it would be the first ever skiing event to be won by a Brit in X Games history. Indeed, how was it that a kid from a country not known for its skiing could possibly produce a skier at this level? Do you ever encounter low points? Times in your life when you aren't feeling that inspiration, aren't feeling like your best self? That happened to me recently. I was having a hard time focusing. Having a hard time getting the things done that I know need to get done. So I went skiing. This was late January in the Sierra Nevada, and conditions were atrocious, but that's never stopped me before. But you know what was really weird? After a few runs I wasn't having fun. How could this be? I love to ski. I'm the co-founder of Urban Snow for crying out loud, how could I not be HAVING FUN? Then I realized what was missing. I wasn't pushing myself. I was nursing a back injury and trying to take it easy. Playing it safe. And it wasn't exciting. So the next run I headed over the terrain park. I'm pretty rusty at sliding boxes and rails. Really rusty. Like scared to hit the features rusty. But I finally lined up a flat rail and tried to slide it. How do you live in a city far from the mountains, work a demanding job, and still ski or snowboard more than 100 times a year? No, you don’t need a private jet. Or a lax in-office work policy. Or a summer home in Chile. The answer is much simpler than that, and I’m going to tell you all about it. What follows is a story about synthetic ski surfaces and how they will impact the future of the sport. We are going to share with you the details of how you can ski and snowboard year round without the need to travel to the mountains. This will be a three part series. Thanks to all of you who made our Kickstarter campagin a success! 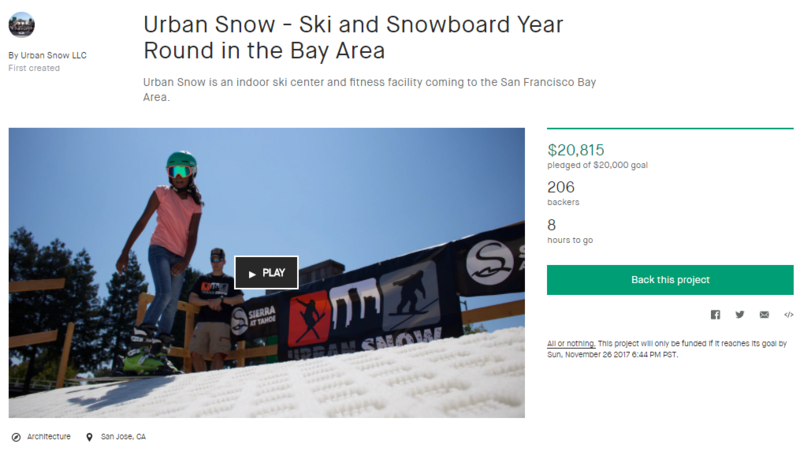 From October 27th to November 26th we raised $21,415 to advance our goal of bringing skiing and snowboarding to the SF Bay Area. We brought the stoke all over the Bay Area, meeting riders from Marin to Santa Cruz. We learned a lot along the way: about our business and about you. Learn more about the campaign and our vision to bring skiing and snowboarding to the city on our Kickstarter campaign page. 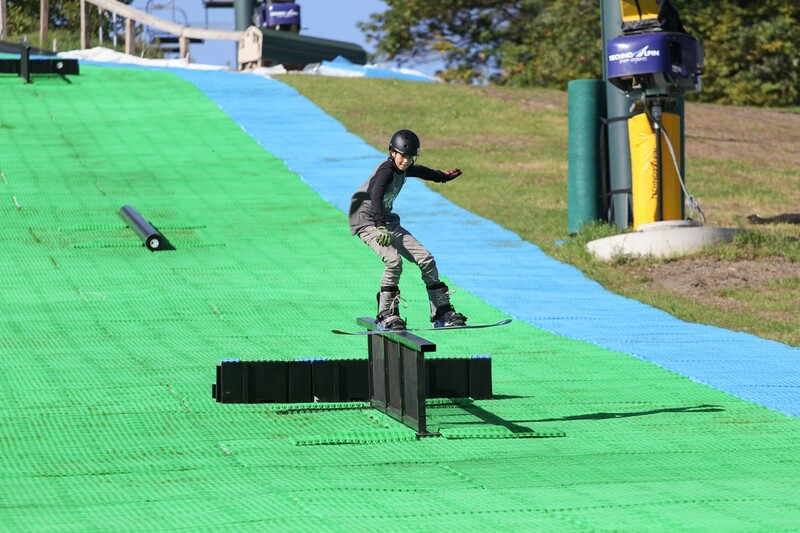 Buck Hill, Minnesota is the first ski resort in North America to install a synthetic ski slope and now provides year round skiing and riding. We caught up with Buck Hill owner David Solner to learn about the positive impact their synthetic installation is having on the community. 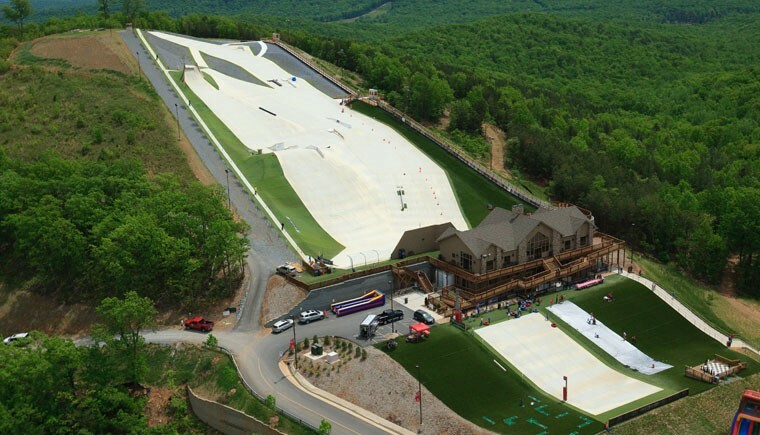 Liberty Mountain Snowflex Centre is North America's largest synthetic ski area. Located on the campus of Liberty University in Lynchburg, Virginia, the facility offers year round skiing and riding for both it's students and the general public. 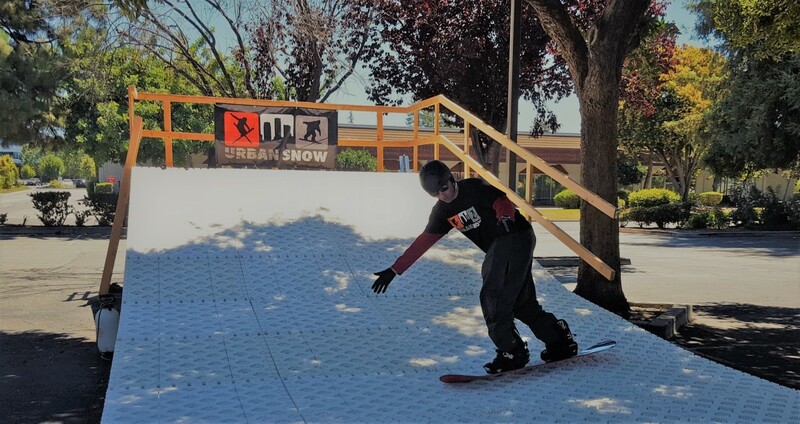 Urban Snow caught up Marketing Coordinator Kevin Hoff to learn more.